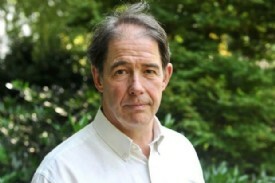 Jonathon Porritt is founder-director of not-for-profit sustainability organisation Forum for the Future, and an eminent writer, broadcaster and commentator on sustainable development. Through my organisation, Forum for the Future, we work closely with a large number of powerful companies right across the world, seeking to accelerate some of the solutions that are so urgently needed to deliver sustainable solutions for the world today, including halting deforestation in areas like the Amazon and the Cerrado. As a result of this ongoing engagement, I have become a strong supporter of the corporate leadership that can be generated through multi-stakeholder initiatives. Change cannot and will not happen without this corporate leadership, or without all the right players sat around the table, enabling progress through authentic partnership. The more enlightened NGOs today would be first to acknowledge that all the good work they do can only really deliver the outcomes they want if they can be associated with corporate leadership of that kind. I am also a very strong supporter of certification schemes to drive sustainable change along our food chain. It was once a given in the world of civil society that certification schemes like The Roundtable on Responsible Soy (RTRS) and The Roundtable on Sustainable Palm Oil (RSPO) were a good thing and should be supported. Well, that is no longer the reality. There are more and more outspoken critics today of certification schemes of every kind, and their motives are far from benign. A particular instance of this in the palm oil industry is an organisation called the Changing Markets Foundation, which is intent on undermining the credibility of the RSPO and other certification schemes in terms of providing consumers with the assurances that they need about more sustainable production systems. They never like to say what the alternative to certification schemes might be, but they are very vocal in their contempt for them. I have little time for these critics. I am also a very strong supporter of taking a systems-wide perspective on all of these difficult, complex and pressing issues. In the 10 years I've spent working with the palm oil industry, I honestly cannot remember a single occasion where I have heard a Western NGO acknowledge the massive socio-economic benefits that the oil palm industry has brought to countries like Malaysia, Indonesia, Papua New Guinea and so on. I’m as concerned as the next person about deforestation and the environment, but if you don't take into account the wider perspective, what makes you think that anyone is ever going to listen to you as a bona fide stakeholder in such complex matters? Equally, I’ve never heard one of those western NGOs talk about the knock-on effects if we were to transition substantively out of palm oil into other vegetable oils. The campaign sticks to the same old tramlines. But given how much more land would be required to produce the same volume of oil from other crops (rapeseed, soybean, sunflower etc), the land use and wider socio-economic consequences would be grave. For all the problems they face, I still greatly admire the work of organisations such as the RPSO and RTRS. And I think it’s only fair to acknowledge how much they’ve achieved during their lifetime and then to acknowledge what the ambitions are to take that work forward and build even more convincing propositions for producers and consumers alike. The trouble is that most of the barriers we face are endemic in our particular model of capitalism, one which has come to depend on systematic cost externalization, dumping those costs onto the environment, onto communities, onto people, and onto future generations. Not surprisingly, business has got very good at this kind of legalised cost externalisation. It has become the norm, not the exception. As 2019 sees the pressure grow on areas like the Cerrado, and a changing political context in Brazil makes demand-led action even more urgent if we want to protect our last great wildernesses from destruction, certification schemes will continue to have a critical role to play. But there’s a sting in the tail here: retailers and Fast-Moving Consumer Goods companies in Europe and the US are really going to have to step up to play their part in addressing this kind of chronic market dysfunctionality. For instance, something like 20% of all palm oil produced today is certified sustainable, but only half of that (ie around 10% of the total volume) is actually sold as certified oil. The sad truth is that many companies in consumer countries are very good at the rhetoric about sustainable development, but pretty rubbish when it comes to the practice. Jonathan Porritt will be appearing on Day One of edie's Sustainability Leaders Forum to discuss what role business should play in society. Discussion points will focus on: accelerating climate action now, becoming co-creators of sustainable wealth and achieving the Sustainable Development Goals.